1 PSD file Size: 851X315 pixels | RGB Color | 72 DPI | Layers Well Organized in folders | All Text is editable. If you need help please contact me via profile page. Thank you and Enjoy It! Layered: Yes; Graphics Files Included: Photoshop PSD; Minimum Adobe CS Version: CS4; Pixel Dimensions: 851x531. Merry Christmas Flyer Template; Winter Party Flyer Template; Thanksgiving Day Flyer Template v3; Thanksgiving Day Flyer Template v2; Thanksgiving Day Flyer Template; Halloween Flyers Bundle v3; Halloween Flyers Bundle v2. 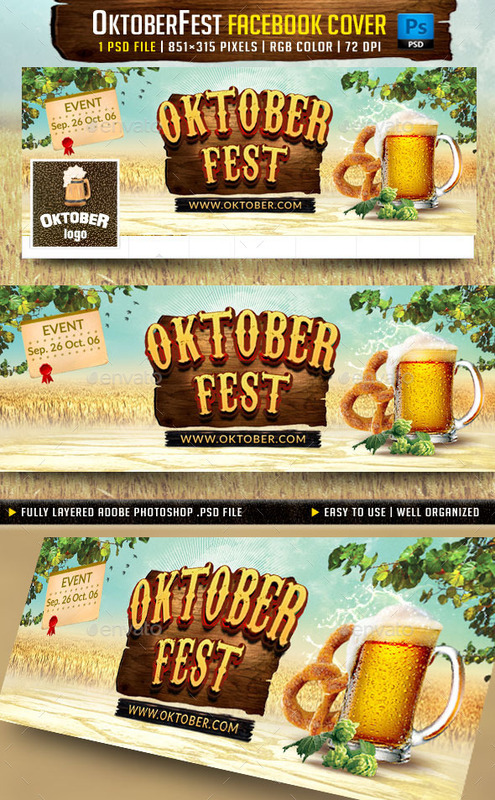 Keywords: advertisement, autumn, beer, celebrate, club, colorful, dance, drink, drinks, entertainment, event, facebook cover, festival, food, fun, holiday, live, music, october, oktoberfest, party, template, timeline, web.